Surround yourself with your closest friends and family and lush, tropical foliage to soak in the best of the island life together. Our Garden 3-Bedroom Villas have a shared main entrance. The villa features a beautiful foyer with separate doors to the guest room and suite, offering ample privacy between the shared spaces. The villa includes a spacious ground floor guest room with two lush queen beds, along with a connecting suite featuring a modern, nature-inspired living room, a second floor king master bedroom and a third floor queen bedroom. 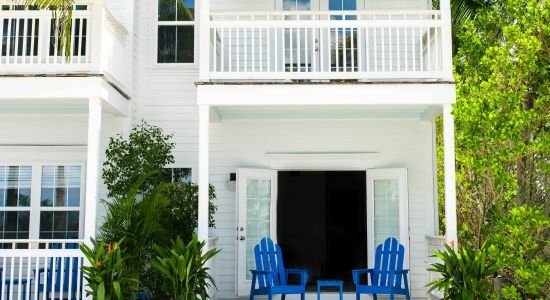 Our Villas are ideal for groups of friends and big families coming to the Keys to celebrate joyous occasions — island style!